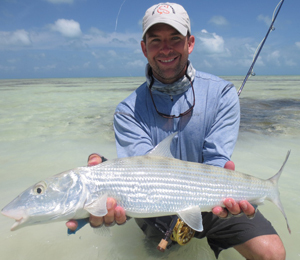 Captain Phil offers bonefishing trips off McClean's Town and nearby Cays, some of the most beautiful and best bonefishing grounds in the Bahamas and the world! Not only are bonefish in abundance, but also Jacks, Barracudas, Permits, Tarpons, Snapper, Groupers, Sharks and a variety of other species for your fishing pleasure. He also offers bottom fishing, nature tours to nearby cays and blue holes and snorkeling trips. I have been to the Bahamas many times, but Captain Phil is one of my favorite trips! It includes everything that everyone should do here. As a Bahamas veteran, I can say only the best about this experience!